Looking for a professional Property Manager to rent your property? You’re in the right place! Real Property Management is Woolloongabba’s leading provider of Rental Property Management services! At Real Property Management Australia we provide comprehensive, reliable, and trustworthy Woolloongabba Property Management Services at below-market rates. When you have an investment property, you want the finest in property management to protect your investment. Whether you are a single property owner or own a portfolio of Investment properties, we’ll effectively manage properties that include single-family homes, apartments, duplexes and townhouses. 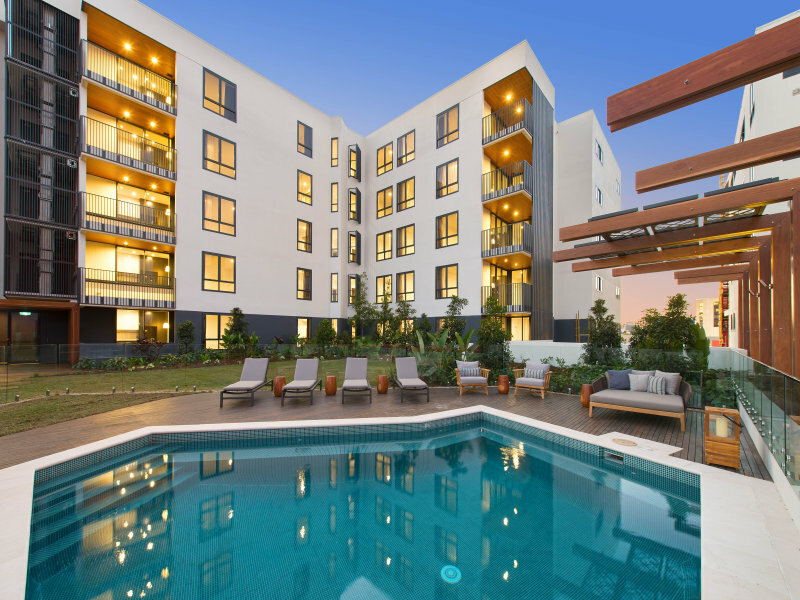 Our Woolloongabba Residential property management company has many years of experience in property management processes to consistently meet our customers’ expectations while saving them time and money. We utilize proprietary systems to manage the entire process to ensure the highest probability of success in all facets of managing your asset. Our full-service property management services include maintenance, accounting, legal compliance, marketing, leasing, collections/evictions, inspections, and more. Please contact us to discuss your individual needs and discover why Real Property Management Woolloongabba is the leader among residential property management companies in Brisbane. Woolloongabba, an inner suburb between South Brisbane and Kangaroo Point, is 2 km south-east of central Brisbane. The name is derived from an Aboriginal expression, variously interpreted as referring to whirling waters, a fighting place or a wallaby. The first is the most likely as there was a chain of waterholes that flowed westerly through the present Brisbane Cricket Ground (the ‘Gabba’) ending at One Mile Swamp at Clarence Corner (Stanley Street/Annerley Road). At flood times the waterholes may have been an inundated watercourse. In 1855 building lots at One Mile Swamp, then beyond Brisbane’s official southern boundary (Vulture Street), were put up for sale. The swamp was a declared water reserve, and in the late 1850s there was only one cottage there. The area was used to rest livestock brought up the Logan Road, and a wayfarers’ hotel, the Clarence, was licensed in 1864. By the end of the 1850s, all the allotments along Stanley Street had been sold, and the first shops appeared there in 1865. The area was still known as One Mile Swamp, and directories recorded it by that name into the late 1870s. A Wesleyan church was opened in 1866, a Church of England in 1869 and the Woolloongabba Hotel was licensed in 1868. The post office (1869) was known as One Mile Swamp for a few months before its name was changed to Woolloongabba. Part of the water reserve was set aside for recreation in 1877, but years of rubbish tipping was needed to raise its surface level. It was drained by a tunnel along Leopard Street in 1889. When new suburban municipalities were formed in 1879-80 Woolloongabba was one of them, extending far south and east. Boggo Road, the jail and Dutton Park were in Woolloongabba. The government school (1894) kept that name until changed to Dutton Park in 1910. Stanley Street became an important shopping thoroughfare, confirmed with the opening of a drapery store by T.C. Beirne in 1883. He stayed there for ten years, when the 1893 flood persuaded him to move to Fortitude Valley and start his department store. Not so the seventeen hotels along Stanley Street, which dried out their cellars and re-opened for business. As well as shops there were manufacturers and timber yards, including Lahey’s yard and mill, positioned close to the railway line (1884) winding up from Dutton Park and turning west into a railway yard. The line crossed the Five Ways intersection and terminated along the South Brisbane River wharves. The Five Ways railway crossing was at the south-west corner of the Brisbane Cricket Ground (permanently reserved in 1895). A police station was at one corner of the reserve and the East Brisbane primary school (1899) was on the eastern side. The ‘Gabba’ cricket ground opened in 1896 with a match between Parliament and the press. The ground was also a venue for bicycle races and from 1909 it hosted rugby fixtures. In the 1930s there were also harness and dog racing, but cricket began to predominate. Donald Bradman made his Test debut at the Gabba in 1928, and more famously was bowled for a duck in November 1931 by Aboriginal cricketer Eddie Gilbert at a New South Wales / Queensland test match. Members of the Barambah Aboriginal Mission (Cherbourg) where Gilbert had been educated to grade 4 level listened to the match on the schoolmaster’s radio. Ray Lindwell made his debut at the Gabba in 1941, just before the Army camped there for the duration of the war. The Gabba was surrounded by the constant clanging and jostling from trams and trains. A horse tram from Victoria Bridge, along Stanley Street to Five Ways, was opened in 1886. The service was electrified in 1897 and extended down Ipswich and Logan Roads. The tram lines were crossed in three places by the railway and Woolloongabba had a total of six railway crossings, a cause of annoyance to residents and business people. In addition there was a line from Evans and Andersons Kangaroo Point locomotive works, along which rolling stock was delivered to the Woolloongabba railway yards. Woolloongabba regained an association with the livestock industry in 1886 when the Albert railway siding was opened where Park Road and Albert Street meet Ipswich Road. The siding was a holding yard for sheep, and several meat processing plants opened around Five Ways. Russian immigrants settled in Woolloongabba in the 1890s, and political exiles came there in 1910. A Russian Jewish synagogue was opened in 1915, and a Russian Orthodox church in 1925. There were also Lutheran and Mormon churches (1896, 1904). St Nicholas Russian Orthodox church (1935) in Vulture Street is listed on the Queensland heritage register. The spokes of the Five Ways formed a retail centre, chiefly along Stanley Street. Chain stores such as Barry and Roberts chose Stanley Street, putting it on an equal footing with Fortitude Valley and Stones Corner. A substantial post office was built in 1899 in Logan Road, from which mails were carried by tram. A short way south, squeezed between Ipswich Road and the railway, one of Brisbane’s first baby health clinics was opened in 1918. Opposite, there was a crèche and kindergarten. The post office and a massive three-storey shop and warehouse in Logan Road are heritage-listed. The northern entrance to Woolloongabba is dominated by the Catholic Mater Hospital, the largest landholder in the suburb. The Sisters of Mercy bought the site in 1893, and both public and private wards have been in operation since 1910-11. Moving down Annerley Road the heritage-listed Spanish mission-style Holy Trinity church (1930) in Hawthorne Street comes into view. Set on a hill, the Anglican edifice is floodlit at night, vying for prominence with its larger Catholic neighbour. The Gabba is Brisbane’s premier cricketing venue, famous for the tied Test match between Australia and the West Indies. Since 1992, it has been the home ground for the Brisbane Lions Australian Rules Football team. In the 1960s changes to industry reverberated through Woolloongabba. Retailing moved to the suburbs, ending Stanley Street’s role as a sub-regional shopping centre. Inner city traffic congestion was temporarily assuaged with the riverside expressway, crossing the river to the south eastern freeway which ran clean through the railway yards. The yards and the wharf line were no longer needed for coaling or cargo, as oil-fired ships moved to the downstream port facilities. The rail yards were closed in 1969, the same year the trams ceased, and the Five Ways became a tame intersection that scarcely now rates a mention. Its role was taken by the South East (Pacific) Freeway. In 2001 a new bus way from the city to Mater Hill, Woolloongabba and beyond opened giving the suburb the same access to the city it used to enjoy with the trams. Sub-regional shopping has been reinstated with Gabba Central (2007, supermarket and shops), built in conjunction with offices and apartments on a former car-yard, west of Fiveways. The Mater Hospital continued to expand, opening a Mothers Hospital in 1960, rebuilding the Public Hospital 1975-81, a new Private Hospital in 1993 and new Children’s Hospital in 2001. A purpose-built structure for the Aboriginal and Islander Community Health Service opened next door to the Mater on Annerley Road in 2009. Additional heritage buildings in Woolloongabba include the post-federation post office (1904) in Stanley Street, the police station (1912), the South Brisbane Public Hall/Princess Theatre (1889) in Annerley Road opposite the Mater Hospital and early shops, c.1865, in Stanley Street, east of Clarence Corner. Further east is the Phoenix building, in Stanley Street. The Clem 7 tunnel, opened in March 2010 and named after Brisbane’s longest serving Lord Mayor, Clem Jones, takes vehicles from Woolloongabba (entrances from Ipswich Road and the Pacific Motorway) and Kangaroo Point (entrance from Shafston Avenue) to Bowen Hills, connecting to Lutwyche Road and the inner city bypass. While the tunnel will decrease traffic congestion around the Gabba the pollution extractor tower, disguised in purple and white panelling, will remain a reminder of the traffic below. Real Property Management Australia are Woolloongabba Property Management specialists.